When I think of spring, I think of fresh berries and citrus fruits. 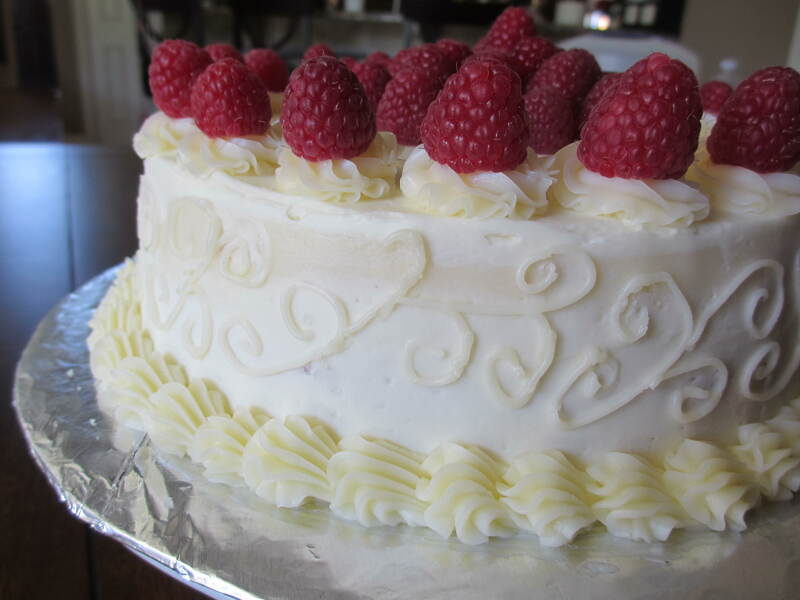 So what better way to celebrate a friend’s April birthday than with a spring-inspired cake? 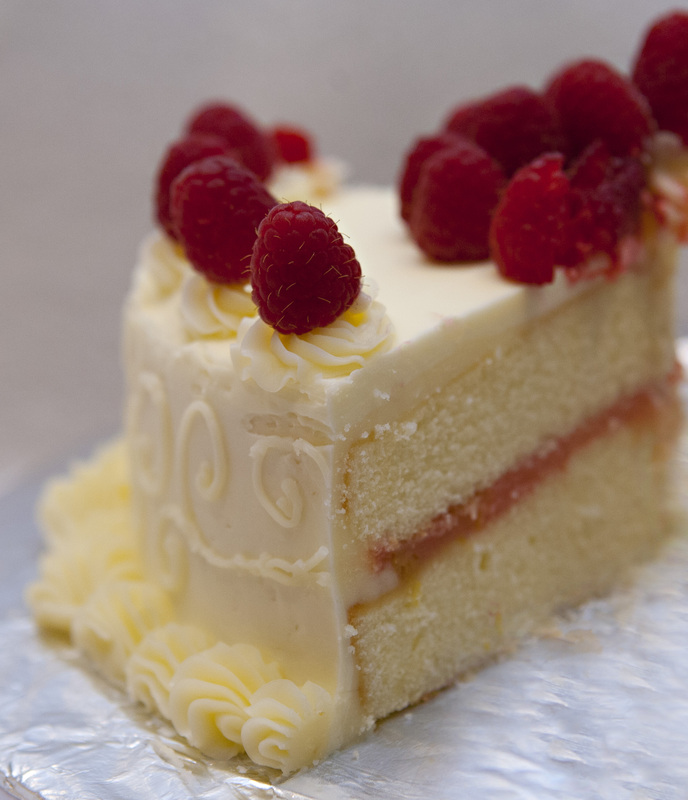 This from-scratch yellow cake is filled with tangy raspberry lemon curd and iced with fluffy almond Swiss meringue buttercream. 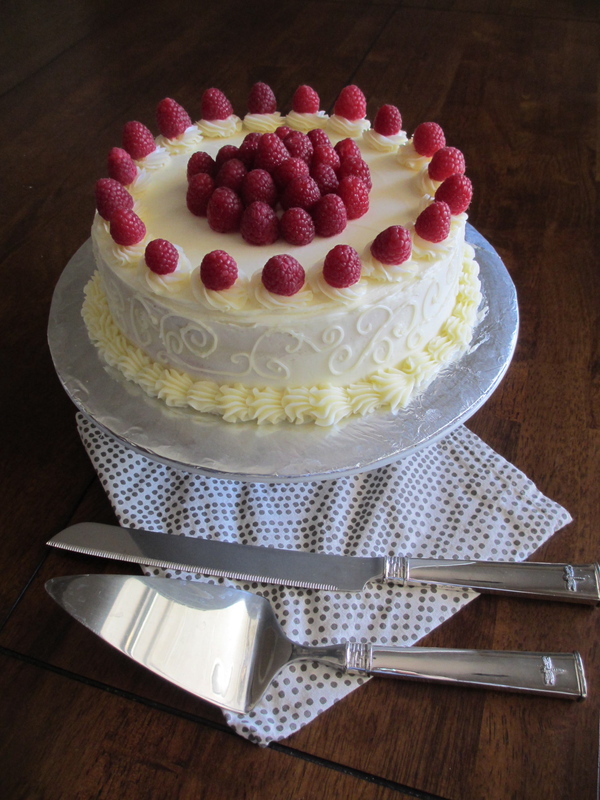 I topped the cake with an arrangement of fresh raspberries. This entry was posted in Confectionary Decorating, Sweets and tagged almond, almond frosting, almond icing, almond swiss meringue buttercream, birthday, buttercream, cake, curd, dessert, layer cake, lemon, raspberry, raspberry lemon curd, spring, swiss meringue, swiss meringue buttercream, yellow cake by Amy Spindel. Bookmark the permalink.